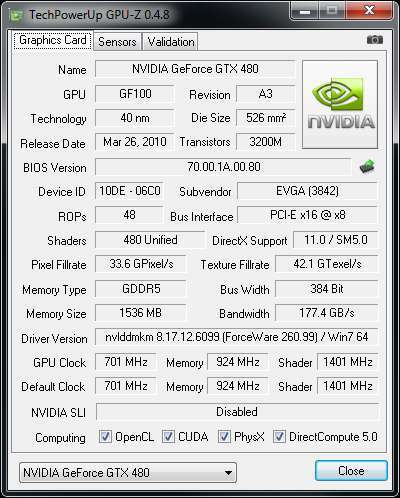 Just few hours before the launch of NVIDIA’s new baby, GPU-Z, the populare GPU monitoring utility, is updated with the GeForce GTX 580 support. This new version fixes a bug with memory clock monitoring on Radeon HD 6870 and HD 6850. Somethings wrong with texture filtrate for my 460 1gb. it shows as 30 instead 40.